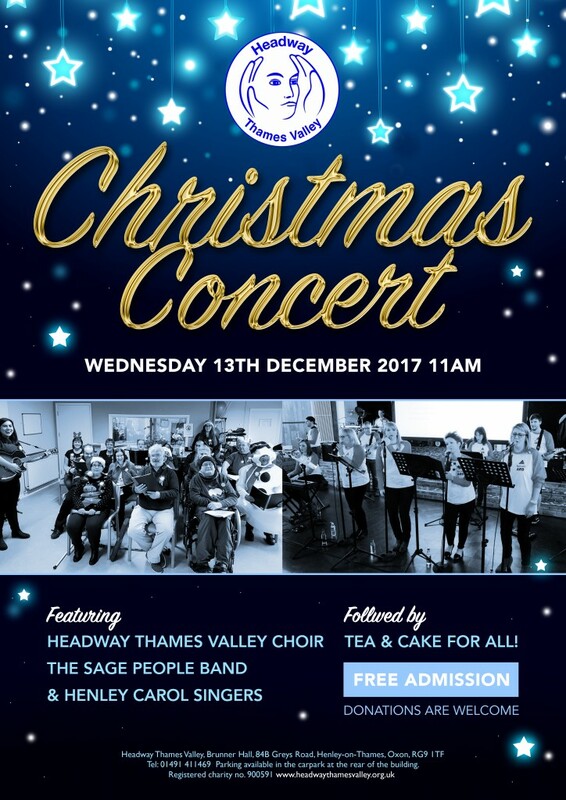 With music from the Headway Thames Valley Choir, The Sage People Band and Henley Carol Singers, the concert will be a fantastic occasion. “We’ve been preparing for the concert for a number of months now, learning more songs with parts which has been a real challenge! The songs we’ve chosen to perform are a mixture of modern, older classics and some world music! The concert is on Wednesday 13th December, 11:00am at Brunner Hall in Henley with complimentary tea and cake for everyone! There is free parking available at the rear of the building. No ticket required but donations are welcome.